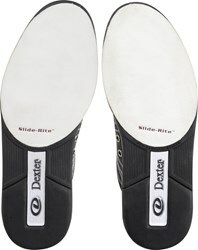 The Dexter Kam takes bowling shoes to a whole new comfort level! 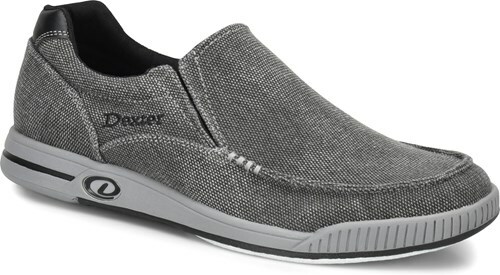 This shoe has an added increase of flexibility, durability, and convenience in its slip on design. Your feet will stay cool with its lightweight canvas upper and side vents for breathability. Simply slip these shoes on, and you're good to bowl! What is the best method of cleaning the slide soles? You can use carpet cleaner to clean the slide soles. Do these have removable slide soles? Unfortunately, these will be fixed soles. Unfortunately, these will only come in the color that is advertised. These will be a standard D width for men. will your heel slip out of the shoe when you walk? Will the shoe stretch out after a period of use? Your heel shouldn't slip out when you walk. Once you have broken in the shoes, they may stretch out a little. Is it for left handed bowler? 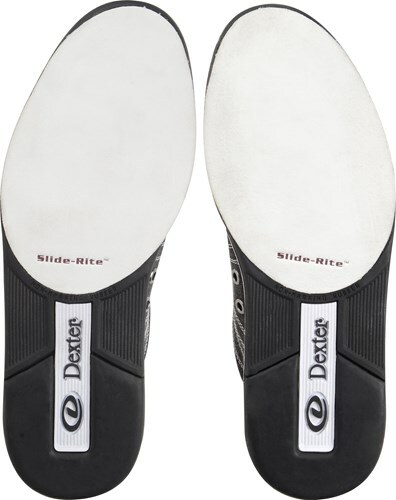 This is for left or right handed bowlers, for they have universal soles. Due to the time it takes to produce the Dexter Mens Kam Charcoal Grey ball it will ship in immediately. We cannot ship this ball outside the United States.